2018 was a fantastic year all-round for the club and we are already looking forward to the 2019-20 season! Early September saw us celebrating the 15th anniversary of the club being founded (click here to read about how the club history!) The celebration took place on a sunny Sunday afternoon alongside our usual club social session but augmented by a cardio-tennis session offered by Callum Meston of Meston Performance, plus a popular service speed gun borrowed from Edinburgh-based tennis coach Robin Burns. 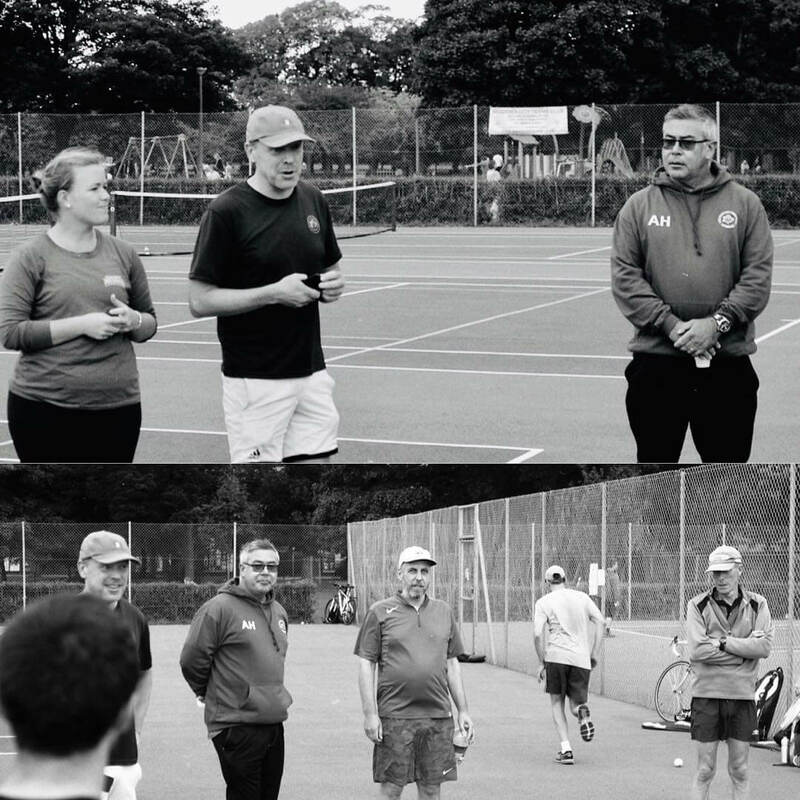 A few speeches and reminiscences were made by the founder of the club and Edinburgh Leisure Tennis Development Officer – Alex Harkins; David Wood – one of the first members and current club president), and a more recent member and committee member, Michelle Moreau from the USA. A good number of bottles of prosecco were opened too, and it was great to have long-standing and well as new members there on the courts to celebrate. Big thanks are due to our social secretary Andi Hermann for devising and running the event! It was also a very successful year in other ways for the club, with our highest overall membership and a significant rise in membership in our junior club following on from Alex’s success in sourcing additional funding to develop the junior club. We were busy developing our new website (thanks to our Louis Pernet from the club for all his time and effort to give a great result!) – and focusing on building our social media presence (follow us on Instagram, Twitter and Facebook). 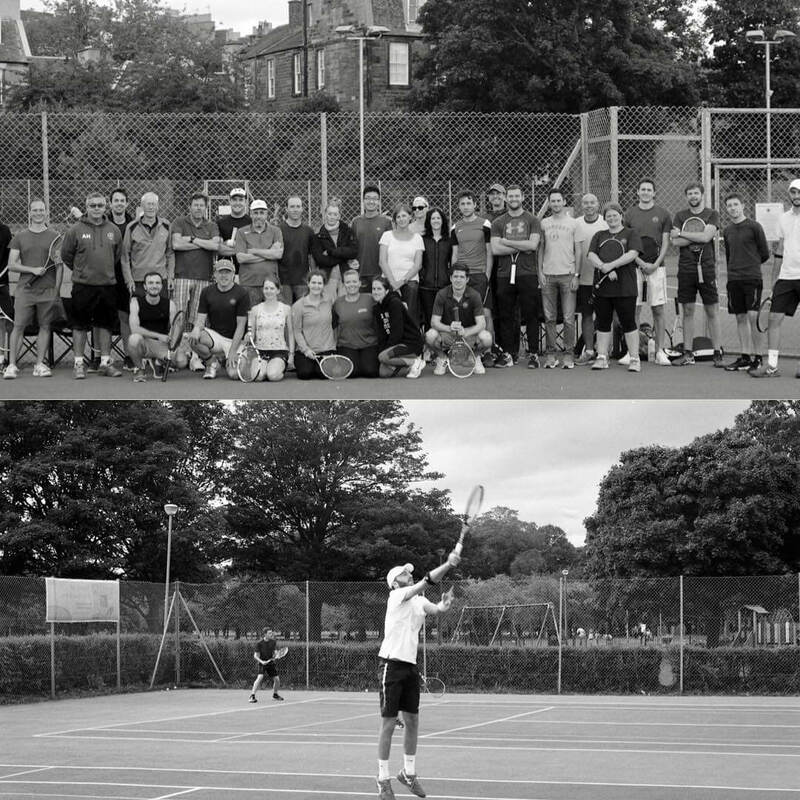 In addition, our five men’s and women’s teams enjoyed a good level of success in the Dunlop East of Scotland Doubles leagues, with around 50 members overall playing competitive tennis. Four out of five teams gained promotion and two teams won their leagues outright! Well done to our team captains Michelle, Roberta, Clive, Milo and Doug, and all who played. We also greatly enjoyed planning the summer social mixed league, the men’s vets and the autumn cup. Alongside this, we ran 3 of our infamous “American Doubles” tournaments, with up to 32 players filling 8 courts in a sociable rotating format, our club singles and doubles trophy tournaments and our singles ladder. And not forgetting our standard four club social sessions weekly during the summer session and three during the winter. New for 2018 was our mixed doubles ladder and mixed trophy tournament, which rounded off the season in style. Many – if not all – of these events concluded with visits to local south Edinburgh pubs! The adult club rounded off the summer season with our usual big club night out, this year at Beirut restaurant – around 40 members gathering for a great event and the usual trophy presentation. The junior club also had a successful year with popular coached sessions for different age ranges and the girls under 14s team winning their East of Scotland league.